An AVI file is a file saved in a multimedia container format created by Microsoft. 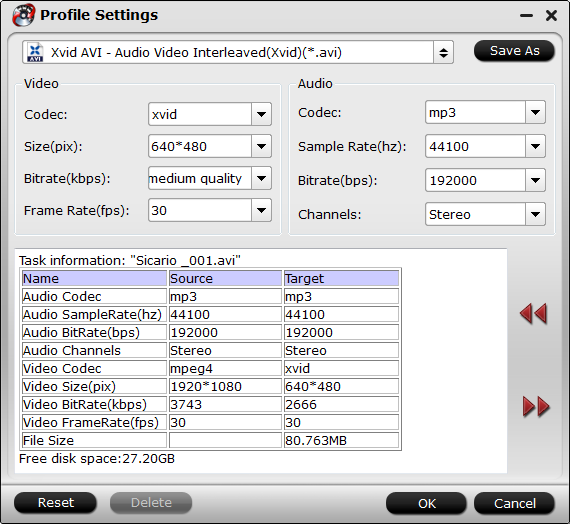 It stores video and audio data that may be encoded in a variety of codecs such as DivX and XviD. AVI files typically use less compression than similar formats such as .MPEG and .MOV. Many AVI videos are not encoded with Xvid codecs, and offers worse video quality and not compatible with many different systems and platforms. Therefore, a lot of users wish to convert AVI to Xvid in order to be able to compress the size of the video, meanwhile retian the quality. On this occasion, converting AVI to XviD is necessary. 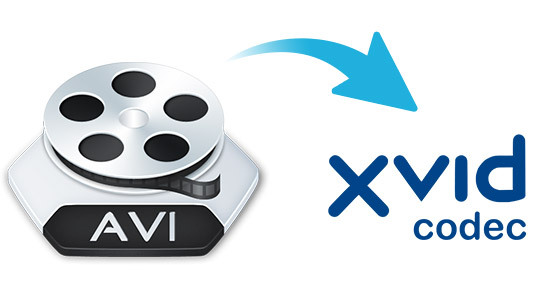 In this article, we’ll talk about how to convert AVI to XviD format. The recommended tool to perform the AVI to Xvid conversion is Pavtube Video Converter Ultimate (to get Mac version), one of the best video converters for Windows/Mac users in the market today. With it, you can fast change AVI format to XviD with high output quality. Moreover, other popular video formats, including MP4, MOV, WMV, MKV, 3GP, FLV, MTS, VOB and more are well supported. It also support you to convert AVI to MP4, MKV, MOV, M4V, M4A, WMA, etc, so that you can play the AVI on more devices including iPhone X, iPad. What else can this software enable you to do? Convert to 200+ formats, like AVI, MKV, MOV, MP4, etc. Download Pavtube Video Converter Ultimate via the download button above and launch it after installation. Make sure you’re downloading the right version according to your computer system. Click "File"> "Add Vide/Audio" to load your source AVI files. If you have several AVI files to encode, just hit on "Add from folder" button to encode AVI to Xvid with batch conversion to save more time for you. Click on the "Format" bar and you will see many video and audio format like MOV, MKV, WMV, AVI, FLV, MP3, M4A, WMA, WAV, etc. 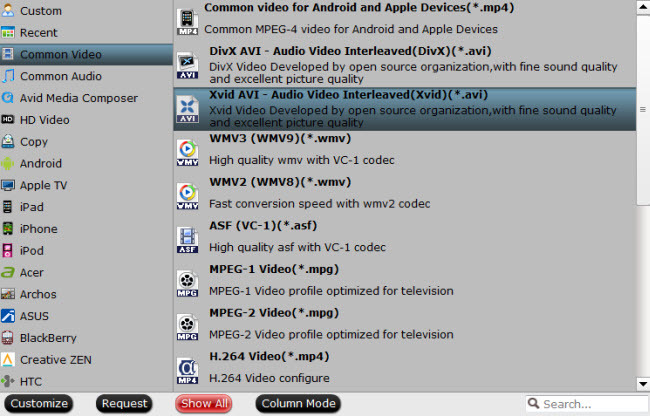 Please go to "Common Video" category to select "Xvid AVI- Audio Video Interleaved(Xvid)(*.avi)" as output format. To achieve a better visual enjoyment, you can adjust output video/audio codecs, bitrates, frame rates, etc. as you like by clicking "Settings" button. Or click "edit" icon on the tool bar to open "Video Editor" window, it comes with powerful editing tools and you can trim, crop and add effects or subtitles to your videos. Click the big "Convert" button at the bottom right corner and this smart AVI to Xvid converter will start to process the AVI to XviD conversion on Windows. If you’re Mac users, welcome to download the Mac version and try it.